There are 35 huts located throughout several wilderness areas in the Rocky Mountains. These huts are situated deep in the mountains between Aspen, Leadville, Breckenridge and other popular mountain towns throughout the Rocky Mountains. Thanksgiving marks the start of the winter season for many of these huts – however, most are open year-round and can be used during any season. The 10th Mountain Division Huts range in difficulty. One of the least challenging is Francine’s Cabin near Breckenridge. This hut only requires 2 miles of travel on foot to access the cabin. However there are much more remote huts which require much more knowledge and backcountry skill as trails can be unmarked and are lengthy to access -one of which is the Braun Hut located just south of Aspen. The 10th Mountain Division Hut system is truly one of the most wild winter experiences in the Rocky Mountains and can be enjoyed by many backcountry enthusiasts. Expert backcountry skiers cautioned those traveling to the 10th Mountain Division huts to be knowledgeable about the backcountry. Basic knowledge of gear, how to travel safely in the backcountry and how to read snow conditions are the most important. Inexperienced backcountry travelers should never adventure into the backcountry without some type of guide, knowledgeable partner or have some type of avalanche certification or education. The 10th Mountain Division Hut system was formed in the early 1980’s by several Aspen skiers, including 10th Mountain Division veteran Fritz Benedict, who cherished the ski touring between Vail and Aspen. From the start, the group set their sights on a trail with closely spaced huts, all accessible via intermediate ski touring trails. The first 10th Mountain Division Huts built were McNamara Hut and Margy’s Hut. Both were completed during the summer of 1982. Soon after, eight more huts were built, with several more in recent years, for a total of 12 huts owned by 10th Mountain Division. As the 10th Mountain Division hut system has grown, it has become the source for central Colorado hut reservations which now book over 30 huts (both privately owned and operated by other hut systems such as the Alfred Braun and Summit Huts). The name “10th Mountain” honors the soldiers of the 10th Mountain Division of the U.S. Army. Five of the 10th Mountain Division Huts were built with donations from family and friends to honor soldiers of the 10th Mountain Division who died in World War II. In the early 1940’s the U.S. War Department began experimenting with mountain troops as we were on the brink of World War II. It was soon obvious that having troops trained for the mountains was necessary. A training ground was chosen in Colorado’s Eagle River Valley just to the north of Tennessee Pass. Known as Camp Hale, the site became home to more than 11,000 troops in December 1942. The troops trained for about two years at Camp Hale, then moved to Washington and Texas. By January of 1945 the 10th Mountain Division was in Italy, where they played a crucial role in several battles. The men of the 10th Mountain Division developed a strong camaraderie, and many gained a love for Colorado as well. After the war, hundreds of 10th Mountain Division vetrains returned to Colorado to settle down. With their ski skills, many of these men were key figures in the development of Colorado’s ski industry. 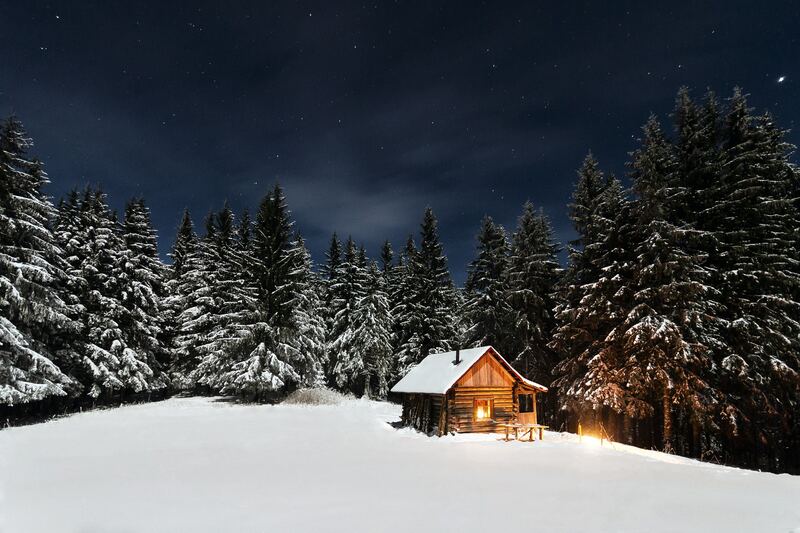 Want to plan your next backcountry trip to one of the 10th Mountain Division Huts? You can find more information by clicking here to view a full map of the 10th Mountain Division Hut system as well as booking information.